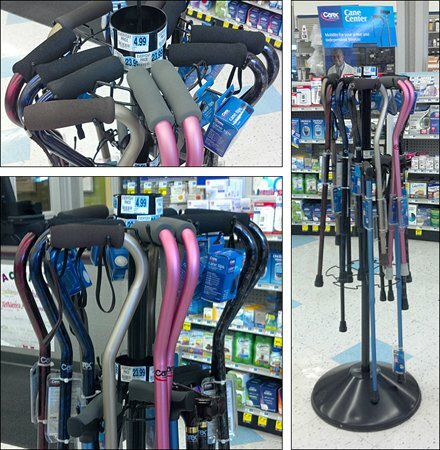 Canes are an odd item that require specialized treatment for merchandising. 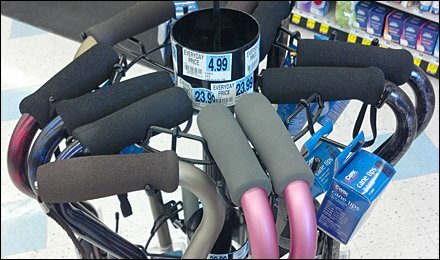 A spinner sells in all directions and allows easy browsing, though needs a mid- or end-aisle location. This one is designed with two tiers for greater capacity. CLICK the thumbnail for a closer look at the arrangement. What if you don’t have the aisle space?